The text on this folio consists of sura Hud (XI), mid-verse 14–24. There are 23–25 lines to the page. Vocalization is not used but occasional diacritical strokes identify the letters. 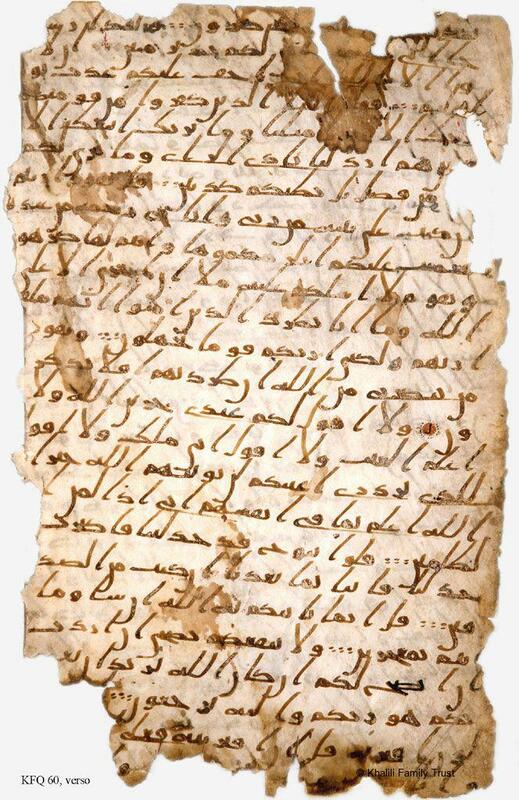 Six oval dots punctuate the verses and a red alif surrounded by dots marks every 5th verse. The red circles marking the passage of 10 verses may be a later addition. 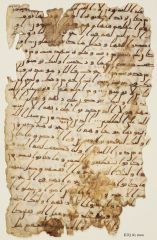 The attribution of the folio to the Hijaz was made following what the 10th-century Baghdadi bibliographer al-Nadim stated in the Fihrist, his account on the earliest forms of Arabic scripts. He affirmed that letters with long ascenders and a slant originated in Mecca and Medina. 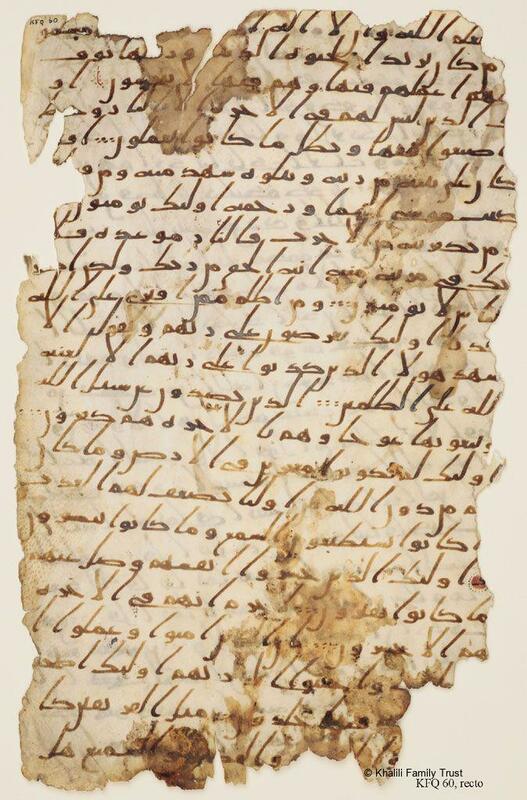 Some elements, like inconsistencies of spelling, marked variations in letter-forms and even in the number of lines from page to page, support the theory that Arabic calligraphy at this early stage was far from standardized. 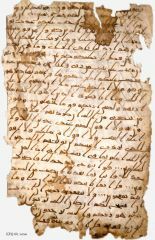 Other fragments from the same Qur’an are in the Bibliothèque Nationale, Paris (ms Arabe 328a) and Biblioteca Vaticana, Rome (ms.arabe 1605/1). Déroche, F., The Abbasid Tradition, London: The Nasser D. Khalili Collection of Islamic Art, volume 1, 1992: cat.1, pp.30, 32. Rogers, J.M., The Arts of Islam. Masterpieces from the Khalili Collection, London: Thames & Hudson, 2010: no.1, pp.30–31.